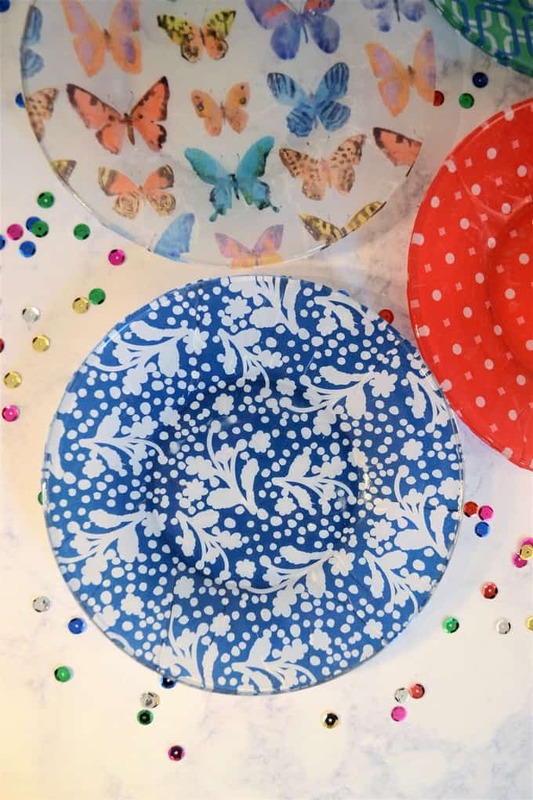 Have you ever wondered how to decoupage plates? 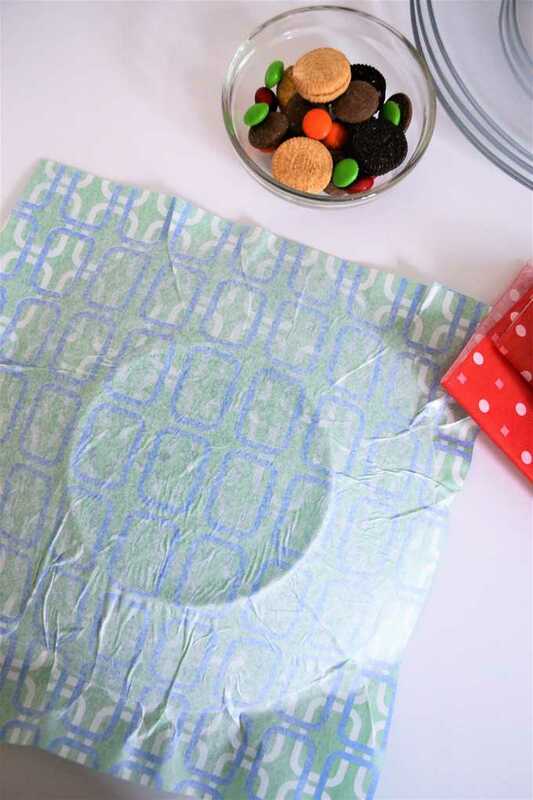 Today, I’m sharing how to mod podge glass plates with tissue paper! 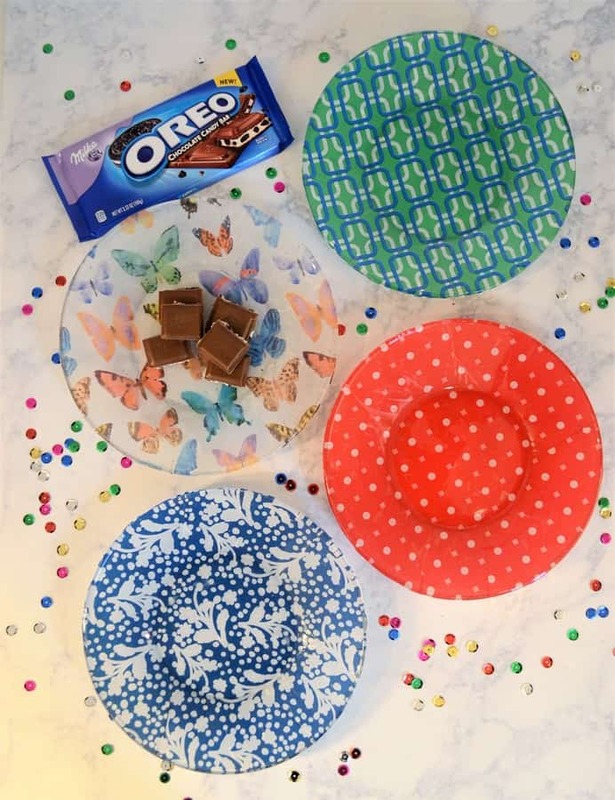 This is an easy mod podge technique and you can make four plates in under an hour! Hello new readers, please scroll to the end of the post for a GIVEAWAY so you can create your own Mod Podged crafts! I love sharing easy DIY crafts with you all. 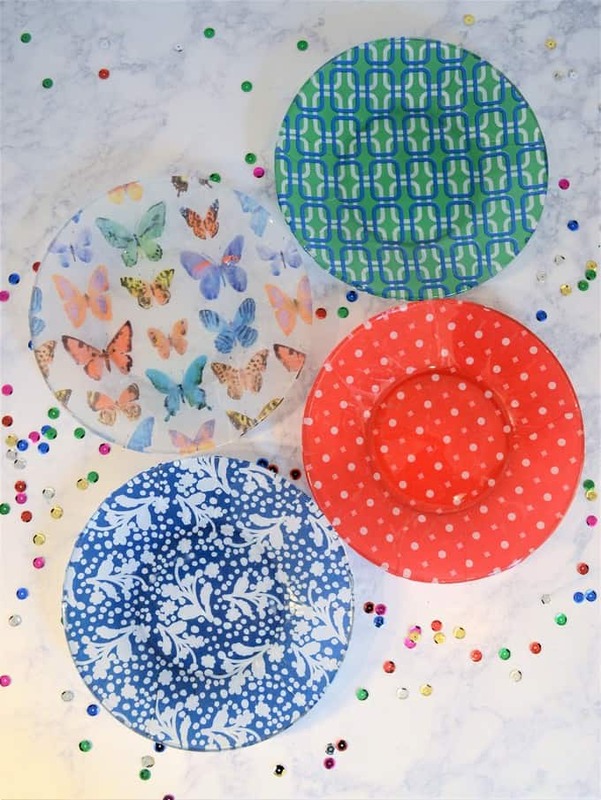 These tissue paper mod podged plates are so simple, yet will make a huge impact on your spring dining table! Best of all, I made a set of four in under 30 minutes. Make a set for yourself, and make one for a gift! 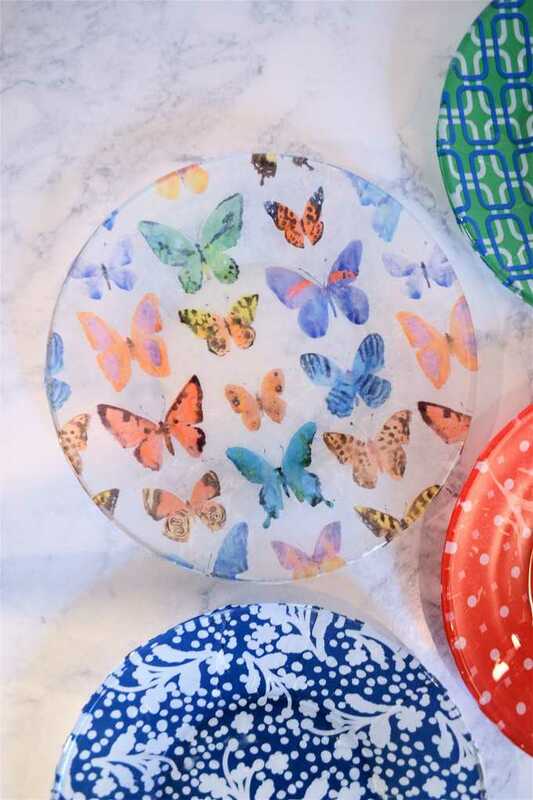 Step 1: Apply a thin coat of Mod Podge to the back of one of your plates. Working quickly, lay a sheet of tissue paper (right side down), over your plate, smoothing out the tissue paper with your fingers. A few wrinkles will be inevitable, and, in my opinion, just add a bit of character and texture to your plates! Step 2: Let dry. Once fully dry, trim the excess paper and apply 1-2 coats of Mod Podge to seal. These are so colorful and fun! 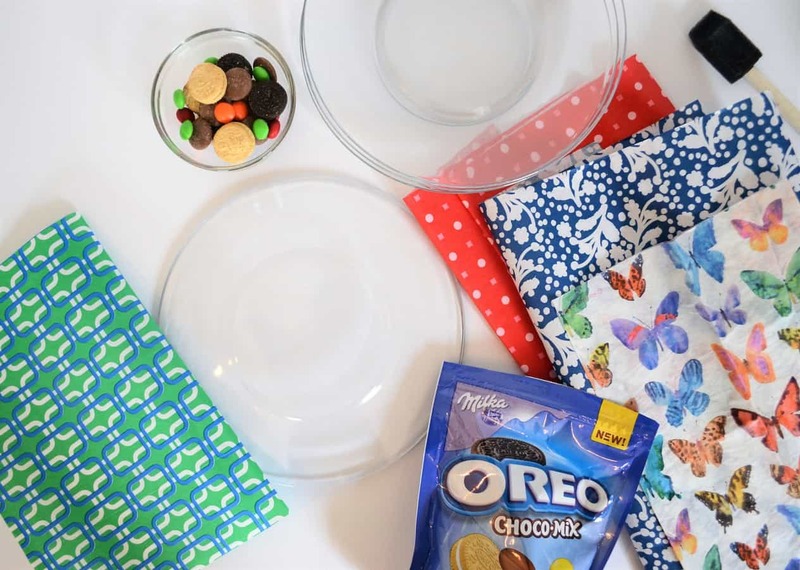 Instead of tissue paper, you can use fabric or wrapping paper for a different look. 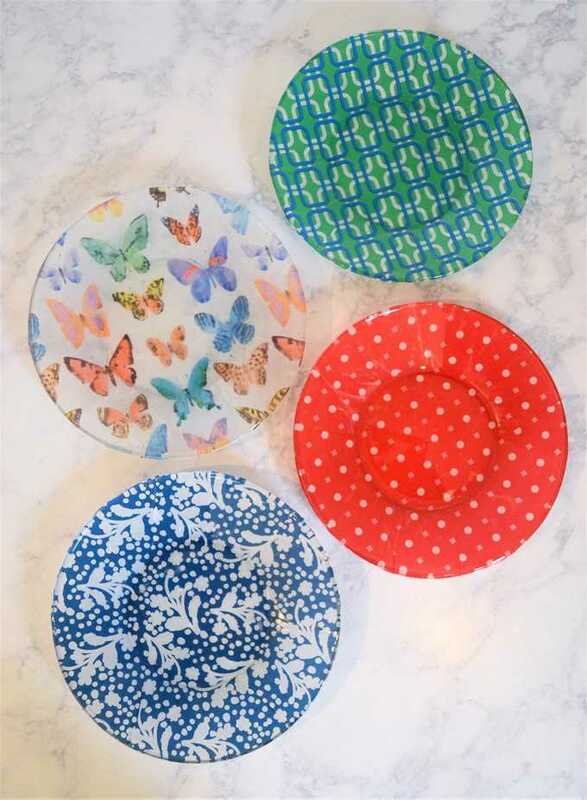 Note: Unless you are using Dishwasher Safe Mod Podge, you’ll want to hand wash these plates. Want to win a $25 Michaels or Hobby Lobby Gift Card so you can make your own Mod Podge Creations? Just follow me on Instagram and/or Facebook, and leave one comment for each follow (max 2 comments). Follows will be verified, will will have 48 hours to get back to me to claim your prize! Thanks for reading all about my DIY mod podged plates! Have a crafty day! 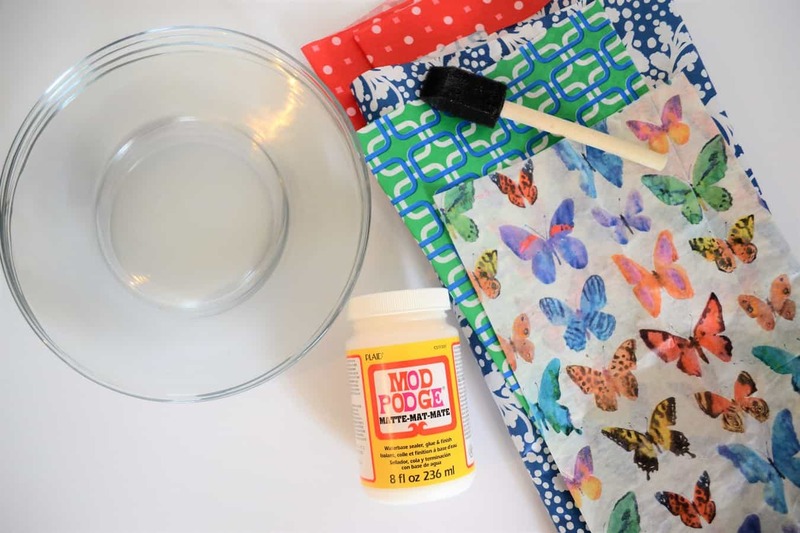 Is the Mod Podge food safe? Unless you are using Dishwasher Safe Mod Podge, you’ll want to hand-wash. I papered the bottoms of my plates, so no food should be touching the Mod Podged portion of the plate. Thanks for your comment! I made these pretty plates many years ago. I don’t remember, do you just use scissors to trim the fabric after they are dry? Thank you for the info nd reminder of how much fun they are to make. Yes, I did use scissors to trim the tissue paper after the Mod Podge dried. Thanks for your comment!! I made several of these with Christmas fabric a few years ago. I found that tracing the plate first onto the fabric gives you the exact size you need, edges are neater and you won’t have any wrinkles when you apply the Mod Podge! Pretty plates! 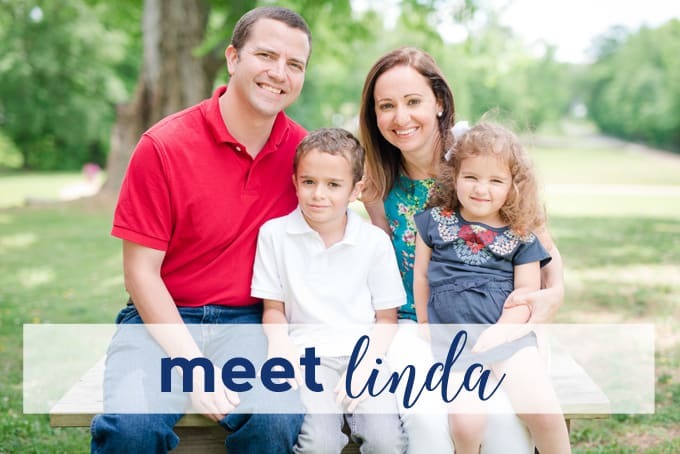 I’ll have to look for those Oreo candy bars – I had no idea! I can’t find your instructions for the top of the plate. You stopped after sealing the bottom. Could you also use paper napkins this be such a cool idea for graduation, wedding, anniversary, showers for table centerpieces with candle(s) setting in the middle. Oh let the imagination run wild. Don’t get my wrong the chocoholic in me love the idea of candy idea also or homemade mints. Thanks!! Nice idea! Love it! Thx for the opportunity! New follower on FB and Instagram.